Water infrastructure is an essential element in water management. Together with institutions, policies and regulation, it provides basic services to growing populations, especially in developing countries, where much of the growth is taking place. In the Asia-Pacific region, for instance, populations are growing not only in size but also in affluence, straining further the existing infrastructure and demanding urgently the development of a new one. While 79% of total water use in Asia occurs in agriculture, the fastest increases in demand are emanating from industry and from urban areas. This trend is a natural consequence of the fastest industrialization and urbanization process in history. By 2030, more than 55% of Asia’s population will live in urban areas, an increase of 1.1 billion people. Nevertheless, water infrastructure is of concern not only in the global South but also in the North, where much of the drinking-water infrastructure needs upgrading or replacement, a significant undertaking as infrastructure is more than a hundred years old in many cases. The American Water Works Association estimates that changing all of the water pipes in the United States would cost more than USD 1 trillion. 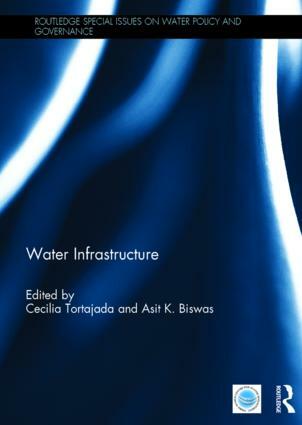 In this book, in-depth case studies on water infrastructure challenges and policy solutions are presented from different parts of the world.